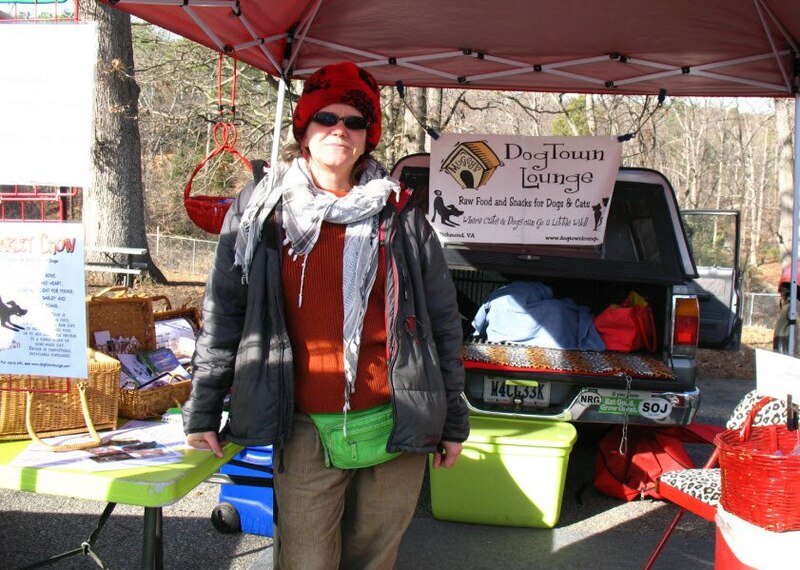 Mugsy Lunsford has been keeping RVA dogs and cats happy for over a decade and, for the past 5 years, she’s been doing it as a vendor at the South of the James farmers market. Mugsy’s Dogtown Lounge is a popular stop for SOJ’s four-legged patrons thanks to Mugsy’s signature raw pet foods and snacks. Mugsy’s sustainably-sourced, nose-to-tail pet food keeps noses wet and tails wagging. Mugsy is in the process of growing her business, taking her show on the road to backyards across Richmond, with a mobile venture, funded in part by a Gofundme crowdfunding campaign. 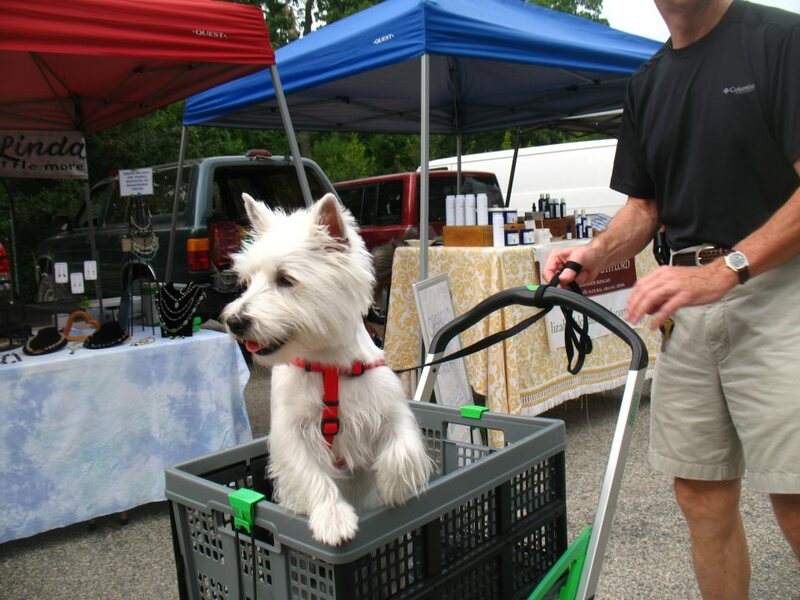 Upon successful funding of her project, Mugsy will increase production and storage capacity and eventually create a Dogtown Lounge on wheels, which will enable her to offer home deliveries for pups who just can’t wait for their treats between markets. If you want all the treats and none of the traffic, consider helping Mugsy with a contribution to her campaign. 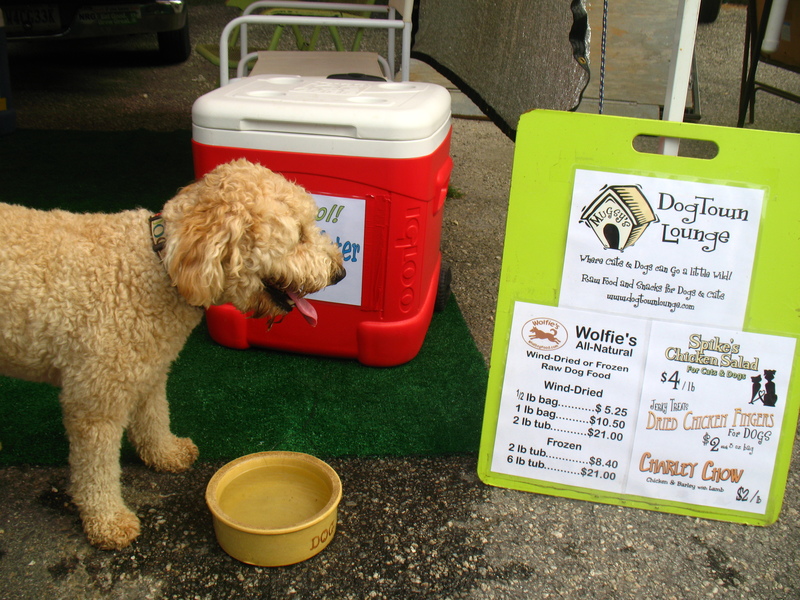 My company is DogTown Lounge, and I make raw food and snacks for dogs and cats. Probably Dried Chicken Fingers. I’ve just added Dried Duck Feet to the menu, and they are rapidly gaining in popularity. 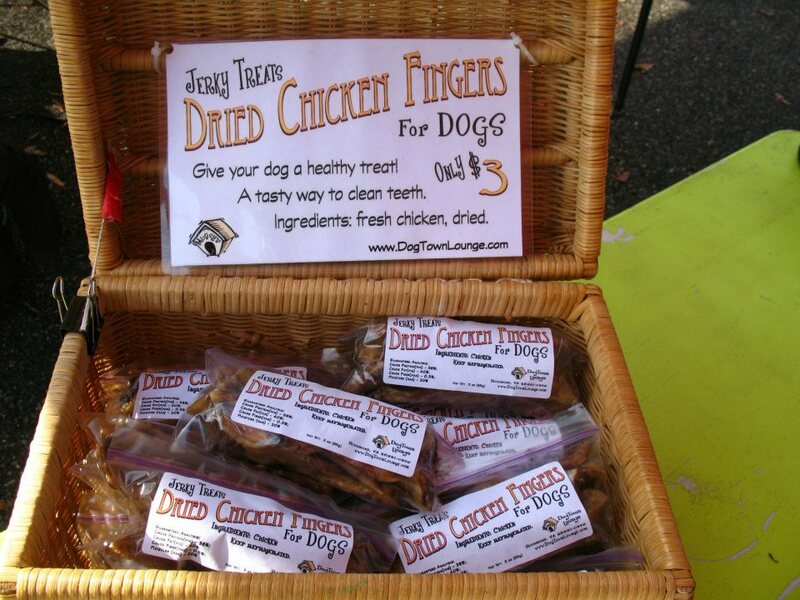 Dogs really enjoy the Chicken Fingers, which are dehydrated raw chicken wing tips. They are crunchy, chewy, smell like roasted chicken, and provide a dog with readily digestible glucosamine while helping to keep their teeth clean. Sound yummy, don’t they? I started making raw pet food in 2003 and started this business in 2008, after friends approached me about selling my home-made foods during the rash of pet food recalls. Since I work with raw meat every day, most folks would probably be surprised to know that I’ve been a vegetarian since 1973. I barter and buy from quite a few local vendors, and would like to do much more of that. Among them are Origins Farm, Ault’s Family Farm, Sunny Vale Farm, Deer Run Farm, Norma’s Produce, Frog Bottom, Tomten Farm, Faith Farm, Bill Heath, Crumptown Farm, Black Creek Farm, and I’m sure I’ve left others out. On a typical Saturday, I get up very early to package any treats that have finished drying overnight, then load up and head to the market, which is about 5 minutes from my house. Then the fun begins! I really enjoy talking with the market-goers, most of whom are neighbors and friends, so it’s quite a social day. My canine customers are very happy to see me, and often greet me with great joy, since each one is offered a Dried Chicken Finger. The best part is seeing all the happy, smiling dogs with their tails wagging. It makes all the hard work worth it, to see the sheer enjoyment they get from my products. Their owners are trusting me to provide them with clean, healthy food and snacks, and that’s something I take quite seriously. I love to see dogs again after they start eating Charley Chow, as their coats get shiny, their teeth get whiter, and they have a little sparkle in their eyes. Of course, the puppies always steal my heart, but they make up for that with the healing power of puppy breath. Previous Previous post: Help SOJ Stay in the Park!